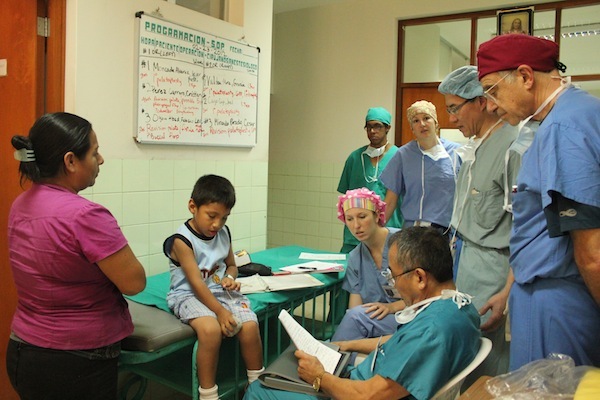 During our international trips to Peru, the days often get caught up in the details of the cleft surgeries: admitting, vitals, the surgery itself, medicines, recovery… While the surgery is an essential component in the treatment of cleft lip and palates, speech therapy is equally as important in comprehensive cleft care. After a cleft palate surgery, the normal sounds and patterns of speech must be learned which requires the help of a trained speech therapist. 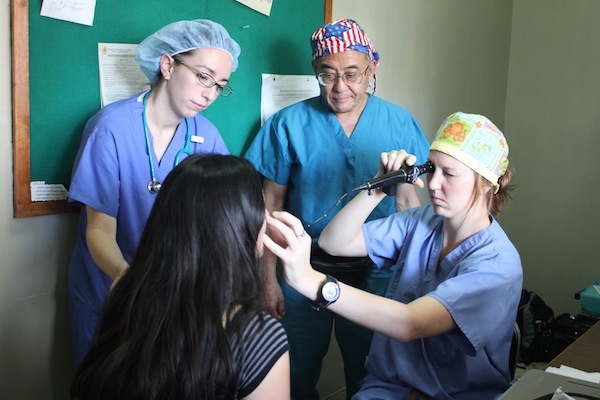 For truly comprehensive cleft care, surgery and speech therapy are both needed. When a child has their palate closed at an early age, say 12 months, they often will develop normal speech without therapy because they haven’t started to talk or develop bad speech habits, like mispronunciation. If a child’s palate is closed later, say around age 3 or 4, they have already developed a number of abnormal productions of speech sounds. To do the cleft lip and palate patient must begin speech therapy soon after surgery and continue, in many cases, for several years. It’s important to surgically repair the palate as early as possible in a child’s life. However, even at later ages, it’s possible to make very good progress with speech therapy. For the past five years, FACES has been working on developing an easily replicable model for speech therapy post-cleft surgery utilizing Internet connectivity. From left: Dr. Kristina Ruybalid and speech therapists Lance Tsugawa and Jennifer Craig provide a speech therapy consult in Lambayeque. 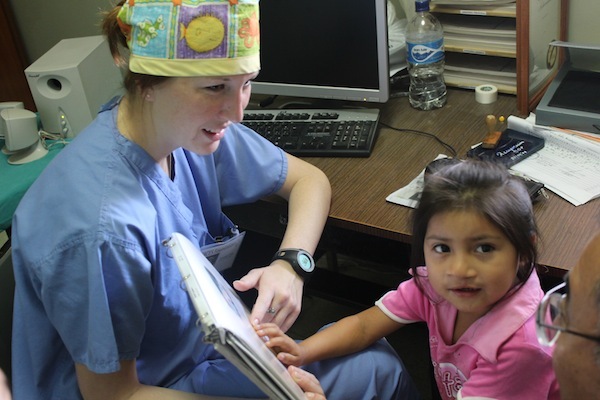 Vanderbilt Speech Pathologist Jennifer Craig provides a speech evaluation on a cleft palate patient in Peru. Jennifer and the FACES team will decide what kind of therapy is appropriate for the patient. The FACES team evaluates a patient for speech therapy.